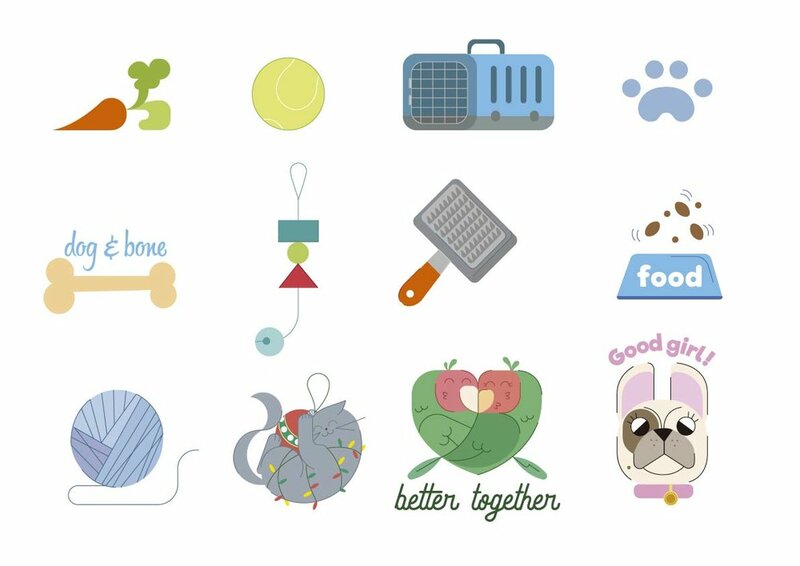 Petbar is a social network for pet lovers. They asked me to create a set of stickers inspired by pets and the typical things that people tell to their beloved friends. The stickers are used to custom the pictures of the users. Petbar es una red social para los amantes de las mascotas. Me pidieron crear un set the pegatinas inspirado en las las mascotas y el las cosas típicas que la gente le dice a sus mascotas. Las pegatinas son utilizadas para customizar las imágenes de los usuarios.